Books – Jodi Helmer – Writer. It’s impossible to write about food and farming without covering pollination. 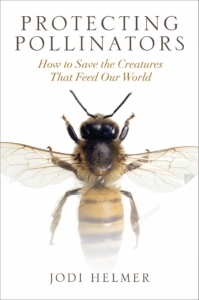 Writing articles about a dog trained to sniff out viruses in beehives; technologies aimed at replacing bees; and the buzz over high tech beehives got me thinking about the issues impacting pollinator survival. In Protecting Pollinators, I dug into the research and talked to the experts to explore the threats pollinators face and highlight the hopeful efforts aimed at restoring their populations. I started drinking orange pekoe tea served in plastic teacups when I was still too young to notice that my not-so-steaming mug with a lot of milk and very little tea. Though my palate has changed, my love of tea remained steadfast. When I started growing herbs for tisanes, a new love affair began. 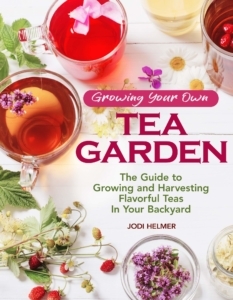 In Growing Your Own Tea Garden, I share tips for turning your garden (or windowsill) into a mini tea plantation. 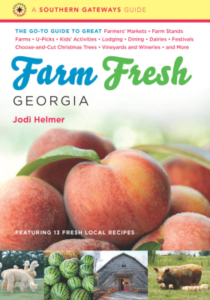 I traveled through Georgia, sampling fresh produce, getting lost in corn mazes, snuggling goats, interviewing chefs, eating at farm-to-table restaurants and milking cows to come up with 350+ amazing agritourism destinations across the state. If you live in the Peach State – or you’re planning a visit – this go to guidebook shares insider information about the best places to go for a true taste of Georgia. 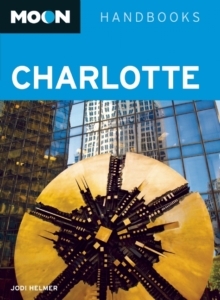 Moon Charlotte is a first edition travel guidebook highlighting the best of the Queen City. The book is filled with insider info and suggested itineraries for Charlotte and NASCAR Country. 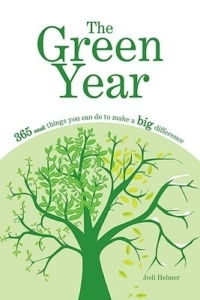 The Green Year: 365 Small Things You Can Do to Make a Big Difference was published in December 2008. The book is filled with practical and inexpensive ideas – one for each day of the year – for a more eco-friendly lifestyle. The Green Year has been featured in National Geographic Green Guide, Woman’s Day, Christian Science Monitor, Delicious Living, the Philadelphia Inquirer and numerous other publications. For more information about The Green Year, please visit www.green-year.com. 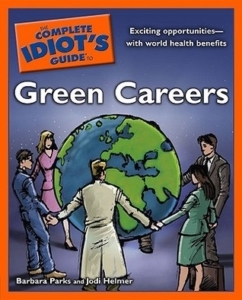 The Complete Idiot’s Guide to Green Careers is a comprehensive guide to environmentally conscious careers, including the fastest-growing and highest-paying careers in the green workplace.